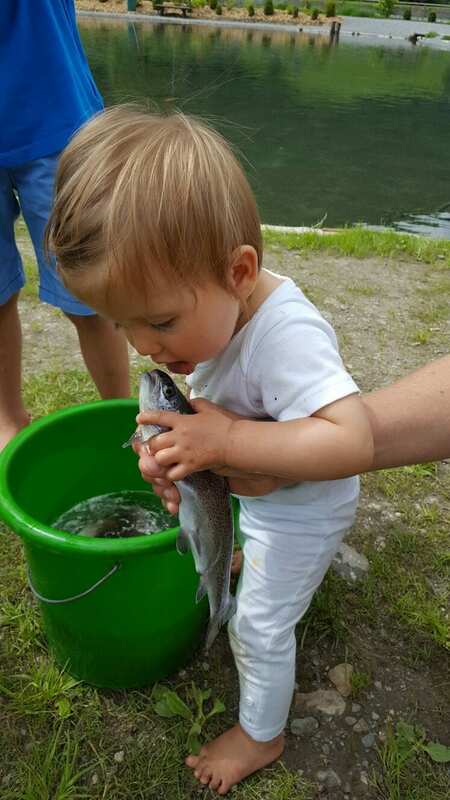 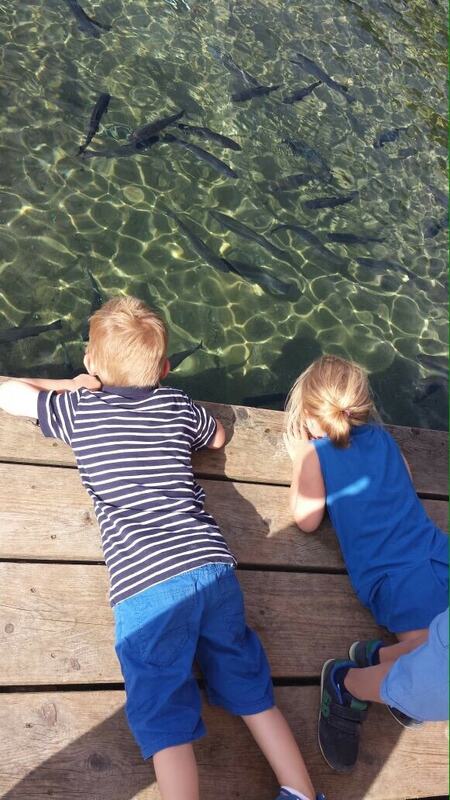 Families and especially children... children are very dear to us - their joy infects everybody, when they catch a fish. 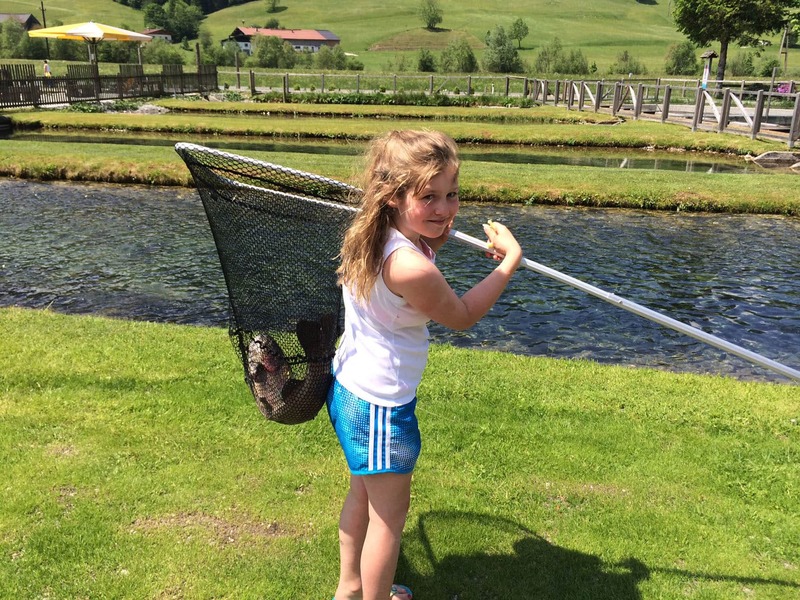 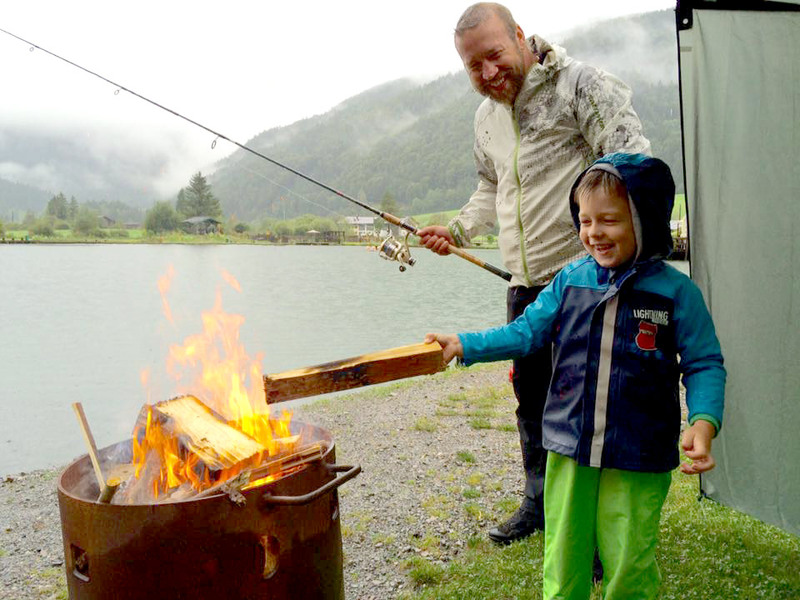 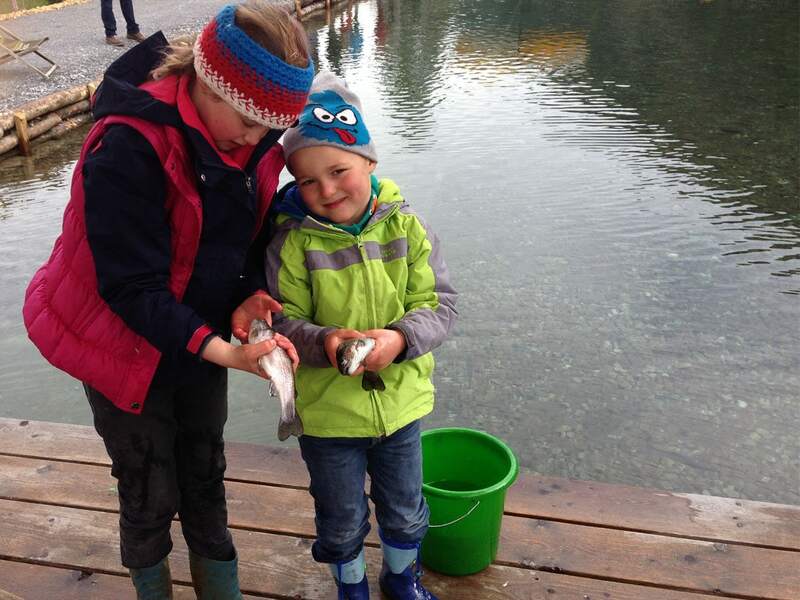 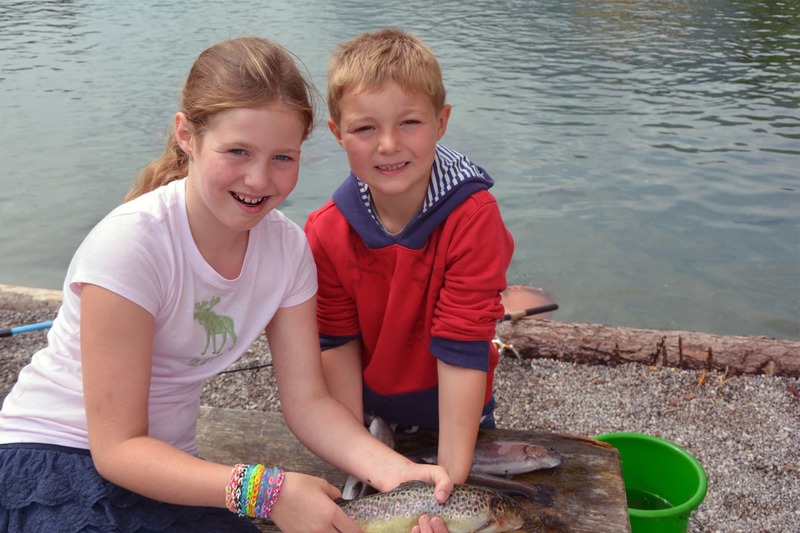 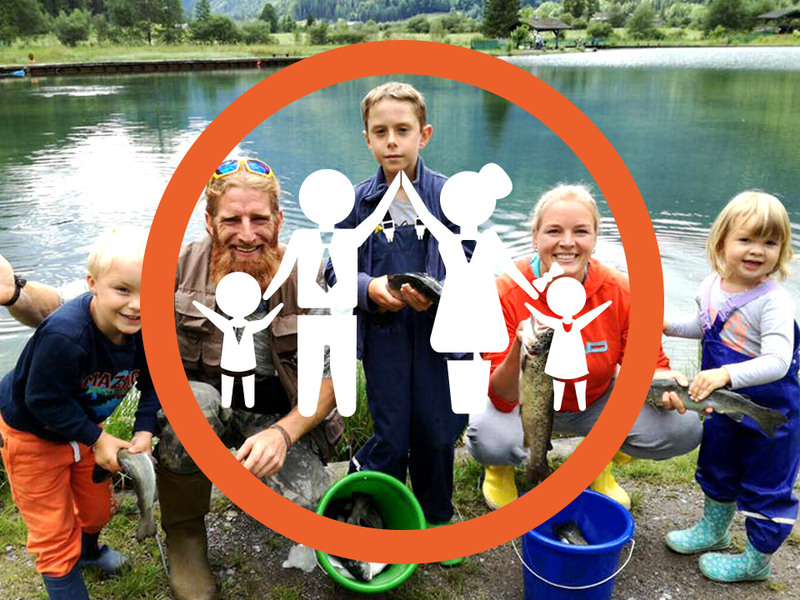 We invite the children together with their parents to enjoy nature, to learn to fish and also accompany them if necessary. 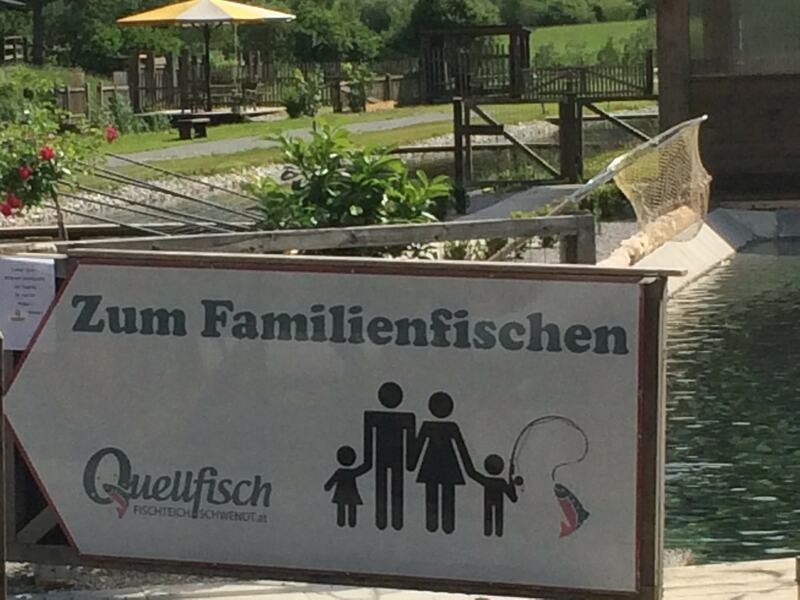 We have a reserved family pond with a total of approx. 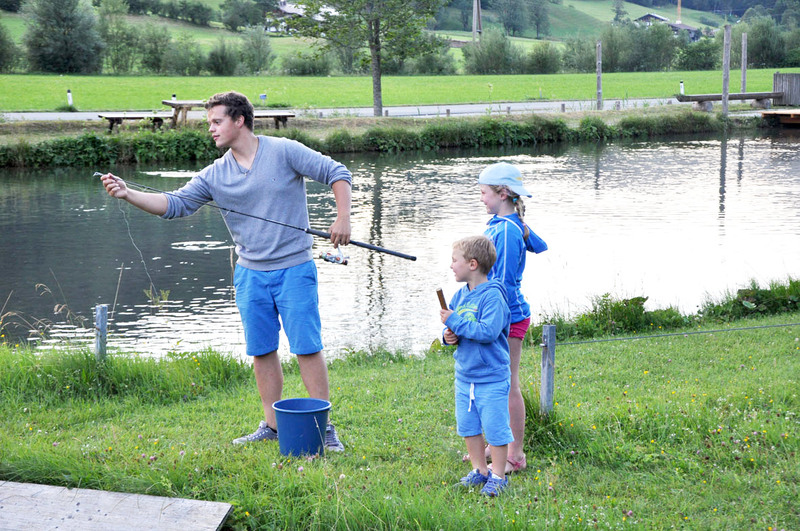 1.700 square meters with a large wooden bridge and umbrellas, and sufficient seating where children can be accompanied by their family or our employees and collect their first fishing experience. 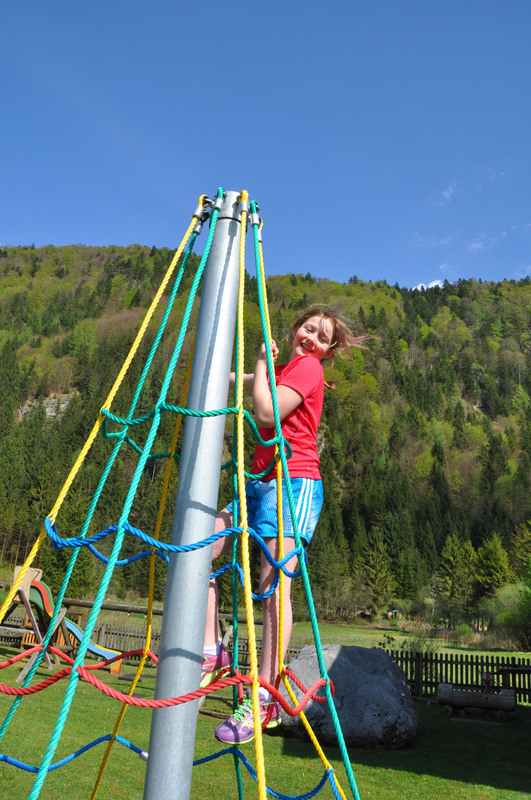 If the kids have enough of fishing, we also have a playground with a water wheel, water brook, a climbing rock, a rotary carrousel, a swing and a slide. 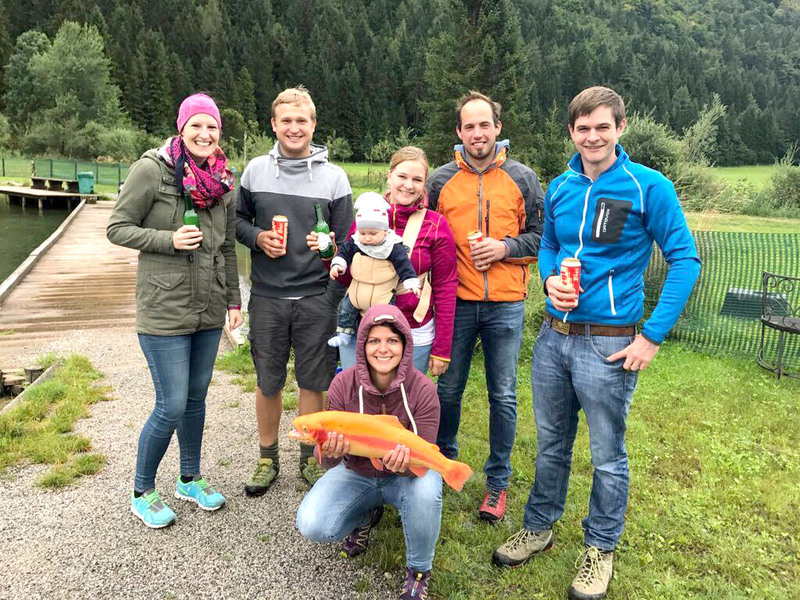 While the children have their fun the adults can continue to relax at the lake. 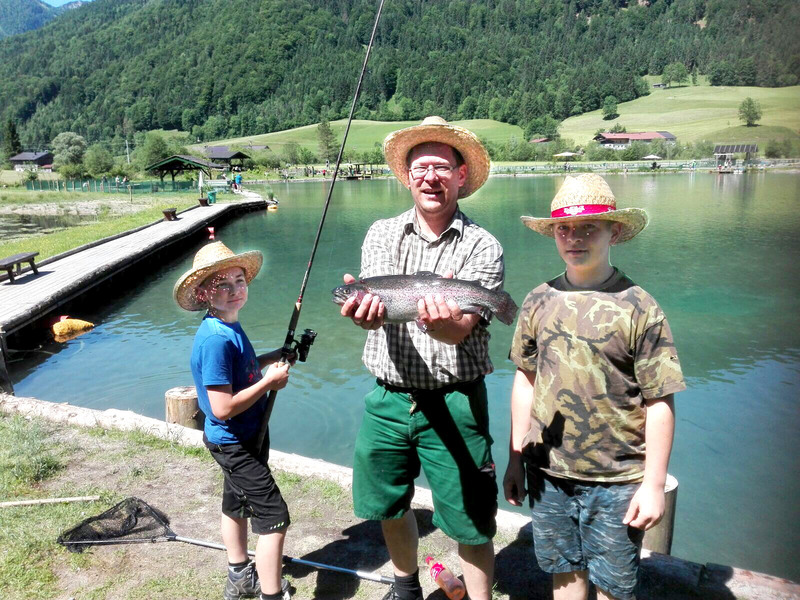 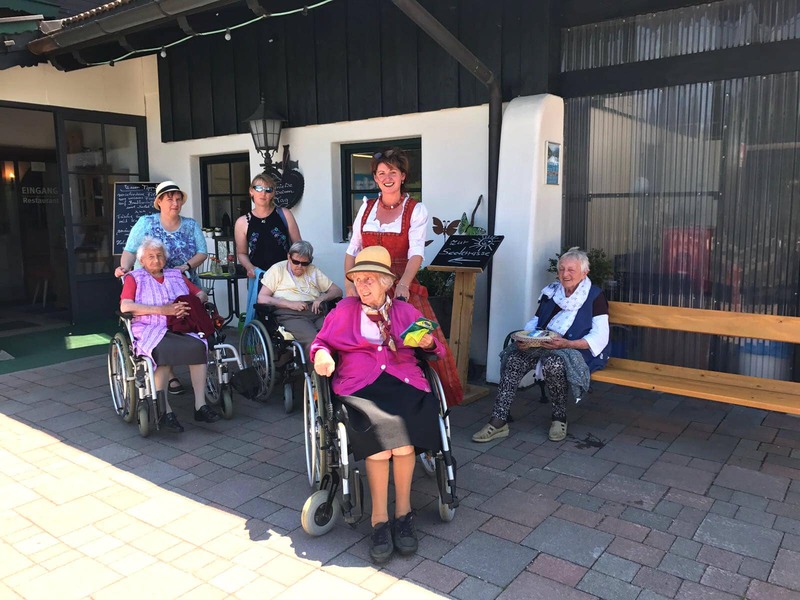 are very dear to us – their joy infects everybody, when they catch a fish.